Sunshine! I painted this after my first grandchild was born. I felt like running through the hospital corridors skipping and singing after I held him for the first time. I wanted to paint so badly, with yellows and greens, the color of spring and birth and growth, the color of sunshine! 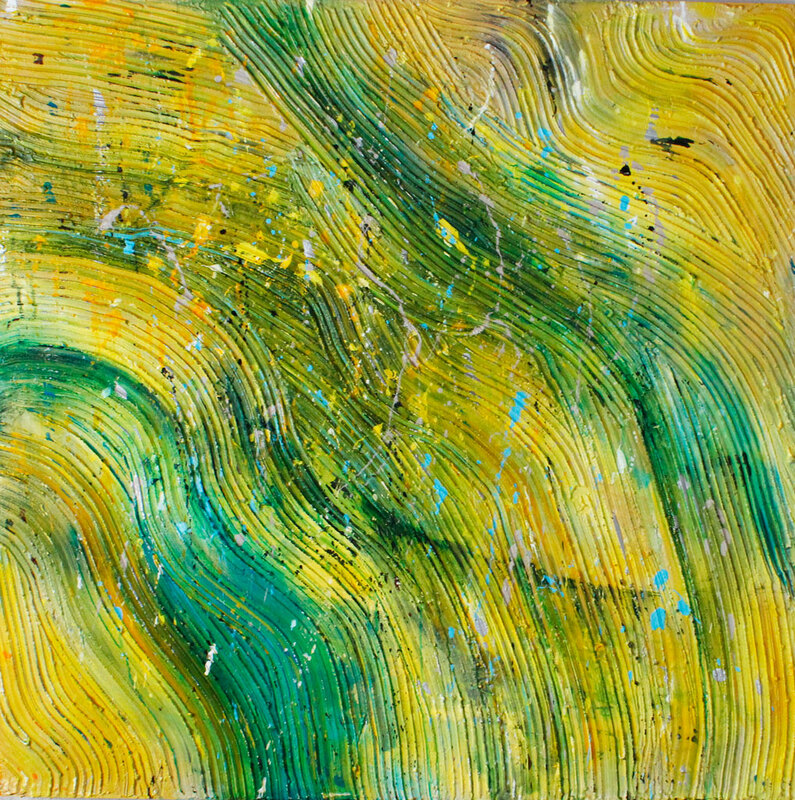 This piece is has thick texture and acrylic on panel and is 48″ x 48″ x 2″. Contemporary art by Southern Oregon artist Cammy Davis.